High Wire Network’s long-standing customer who specializes in the retail space recently secured their first project with a large global coffee chain and brought our team in to complete the job. The project entailed providing electrical outlets to power new nitrogen infusion machines in over 100 locations across the Northeast and Midwest in a matter of a few weeks. 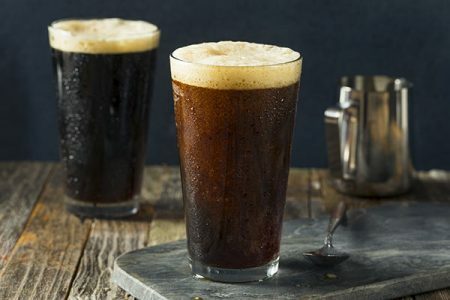 Nitrogen infused coffee is gaining popularity in both small and large coffee shops alike and these new machines give cold-brew coffee a smoother, more velvety feel. The new equipment installations required the High Wire Networks team to assess each location to determine if power was available for the two pieces of equipment to be installed in adherence with the end-customer’s specifications. In some locations the High Wire team needed to rebalance the load of existing power outlets by moving equipment, and in some stores the team worked in conjunction with a carpentry crew to rework cabinetry in order to run new circuits. Since this was our customer’s first job with this end-customer the High Wire team knew they had to deliver flawlessly. Project Manager Denise Overman and Account Manager, Ryan Anderson were proud that the team didn’t miss a single site and when necessary, were able to make adjustments on the fly completing each site in one night so that none of the store experienced any business interruptions. The project locations were in multiple locations in: Michigan, Wisconsin, North Dakota, South Dakota, Nebraska, Iowa, Illinois, Indiana, Missouri, New York, Maine, New Hampshire, Vermont, New Jersey and Massachusetts. We’re proud that we were able to complete the installation on-time and without any down-time for the end-user. We made our customer look great so they’ll be able to nurture their new relationship with one of the largest retail brands in the world.